While Arizona is one of the fastest growing states in the country, Tempe means business. With Arizona State University and the Tempe Elementary School District, this suburb of Phoenix is center for education. Ranked #5 by Forbes in Growth Prospects, Arizona is a great climate for business, and in Tempe, business prospers from the education. A wide encompassing school district with fourteen elementary schools, four middle schools and others such as a developmental special needs school and an Intervention Learning Program middle school, Tempe Elementary School District is one of the top employers in Tempe. Other school districts including Tempe Union High District, with five out of seven high school locating in Tempe rather than Phoenix, and Kryene School District, that has multiple schools around the different areas of Phoenix, Tempe, Arizona is a place that puts an effort in the future generations. Along with school districts, Tempe makes a name for itself as being home to the original and largest campus of Arizona State University. As one of the largest public universities by enrollment in the country, ASU is the top employer in Tempe with over 8,000 employees. 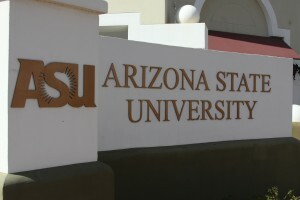 With a reputation as a top research university in the U.S., Arizona State University brings great economic revenue for Tempe and the state. As a outlying district of Phoenix, Tempe can often be overshadowing by the more populated city, but this not-so-small suburb of almost 183,000 people offers a business-friendly climate with a little fun in the sun. Business thrives in this warm town. With its headquarters and main office located in Tempe, Insight Enterprises, a business-to-business global technology provider, has remained nine years on Fortune 500 List and sets the bar for other larger companies in the area. Companies including Stryker Sustainability Solutions and PCL Construction, Inc., are among some of the best large companies to work for in Arizona according to The Arizona Republic newspaper. And in recent news, Whole Foods Market 365 will be making its way into Tempe as one of the first new grocery stores in town in more than a decade. From hosting one of the nation’s largest New Year’s Eve parties, The Fiesta Bowl Block Party, to one of Arizona’s biggest malls, Arizona Mills, Tempe likes to have fun in style, without giving all the credit to the young students and college life at ASU. Mills Avenue is also a entertaining historic street filled with bars, shopping stores, fairs and city festivals (read: Fiesta Bowl Block Party). Prospering as a college town but also a strong place of business, Tempe, Arizona is just the place for the good life. Find a Tempe area phone number for your business. To search numbers available in area code 480 or 620 click here. This entry was posted in Local phone numbers and tagged Tempe Phone Numbers by Kathryn Anderson. Bookmark the permalink.